Having grown up in The Palm Springs Desert area, it only seemed natural to accept a James S. Kemper Insurance Scholarship to Drake University in Des Moines, Iowa where he graduated and received a Bachelor of Science degree in Business Administration and a Minor in Journalism. 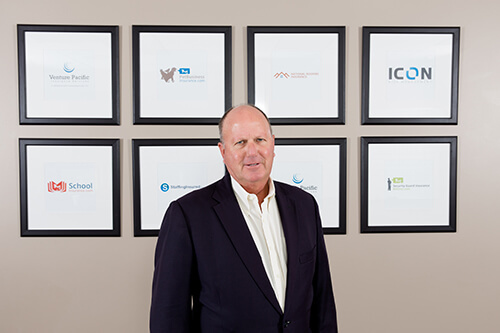 Upon graduation, John returned to Southern California and earned a certified Insurance Counselor designation and began employment as a claims adjustor and District Manager with Kemper Insurance in Los Angeles. Looking to further career opportunities in underwriting and marketing, positions were accepted with Insurance Company of The West, Great American Insurance and Canadian Indemnity. Brokerage experience includes 8 years as Manager of Special Accounts and Personal Lines for Anderson and Anderson Insurance Brokers, Irvine CA, and Brakke Schafnitz Insurance Brokers, Laguna Niguel CA. Specialties in insurance producing include Indian Gaming contracting accounts, Property Owners, Non Profit Organizations, Marine Risks and Transportation.